WILD CARE’s wildlife rehabilitators treat birds, mammals and reptiles brought to the center, with the goal of releasing them back into the wild when they are capable of independent survival. Through public education, WILD CARE works to prevent wildlife casualties and works to engage the community in conservation through volunteerism. Since our founding, WILD CARE has accepted over 25,000 wild creatures, representing more than275 species of native birds, mammals and reptiles. 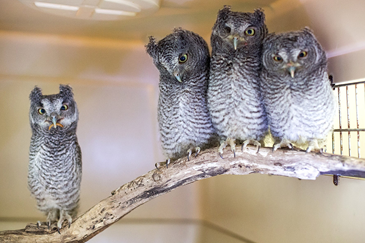 If you encounter injured, orphaned or ill wildlife, please call the WILD CARE of Cape Cod helpline at 508-240-2255. Visit WILD CARE’s website at www.wildcarecapecod.orgto make a donation. Click here for the article on Cape Cod Today.